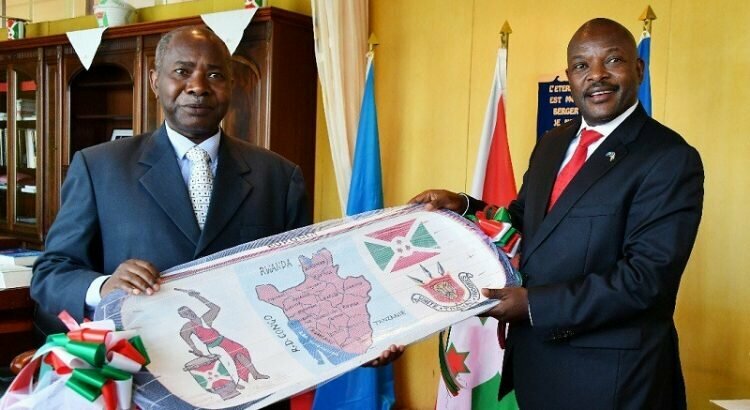 BUJUMBURA June 25th (ABP) – Burundi President Pierre Nkurunziza received in audience in Bujumbura on Wednesday the Ambassador of the United Republic of Tanzania to Burundi, Mr. Radjabu H. Gamaha. He made his farewell to him as his term has expired. The two personalities also agreed to keep these projects among the priorities to be given to the next Tanzanian ambassador to Burundi. The other priority mentioned by Mr. Gamaha is the road linking the Burundian province of Cankuzo (east) to the region of Gahumo (Tanzania), through Mishiha. 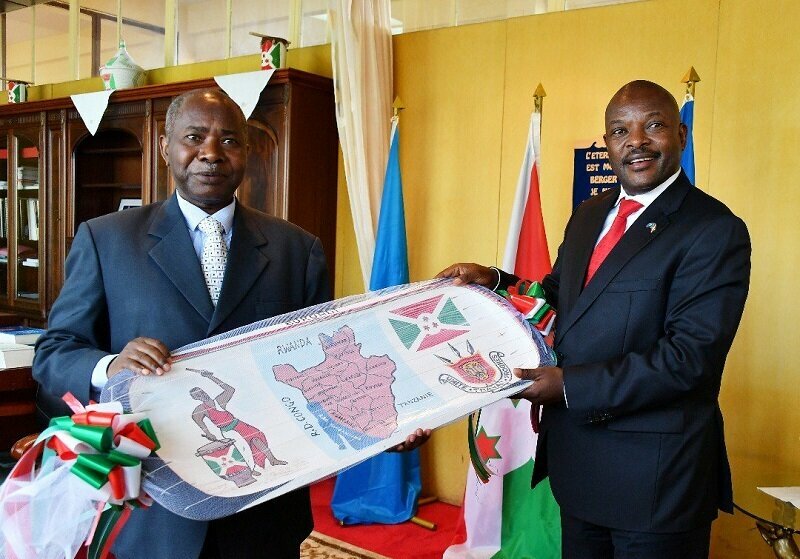 The latter is, in his view, of paramount importance, especially in terms of the relations between the populations living on both sides of the Burundian-Tanzanian border, but also in the commercial relations between the two countries. Once built, it will reduce the distances that carriers make from Dar Es Salam to Bujumbura.The two personalities exchanged on the ongoing economic and infrastructure projects initiated during Ambassador Gamaha’s three-year mission in Burundi, projects that still need to benefit from his attention and especially the attention of his successor, said Alain Diomede Nzeyimana, deputy spokesman of the President of the Republic, to the press. These include the rehabilitation of the transnational road connecting Burundi, Tanzania and Rwanda through Bujumbura and Rumonge, the road linking Cankuzo (Burundi) and Gahumo (Tanzania) through Mishiha, the construction of a railway linking the Burundian area of Musongati to Uvinza in Tanzania; and the construction of a hydroelectric dam on the Rusomo River in Tanzania, which will supply electricity to Tanzania, Burundi and Rwanda. Referring to the major construction project for the railway line linking the Burundian area of Musongati to Uvinza in Tanzania, which will be used to transport Musongati Nickel ore from Burundi, Mr. Gamaha pointed out that discussions between the two sides are well underway and that Tanzania, as far as it is concerned, is waiting for Burundi to kick off its work. Ambassador Gamaha also pledged to plead with his government to speed up the ongoing process of repatriation of Burundian refugees through the Tripartite Commission (Burundi, Tanzania, UNHCR), mainly during this period of the long dry season. . The President of the Republic of Burundi also expressed his thanks to Ambassador Gamaha for his personal involvement in the search for security and peace for Burundi. According to Mr. Pierre Nkurunziza, Mr. Gamaha began his duties at a time when the country was in a crisis, but he remained with the Burundians.